This package contains 2 versions of the X-15-2 and two versions of the X-15-3 aircraft, all equipped with the mighty XLR-99 rocket engine. The X-15-2 (serial number AF56-6671) became the first X-15 aircraft to test the million-horsepower XLR-99 rocket engine in flight. The X-15-2 was delivered to Edwards Air Force Base in April 1959 and completed 31 flights (9 with the interim XLR-11 engines) before it was damaged during an emergency landing in November 1962, and eventually repaired and modified to become the "advanced" X-15A-2. The X-15-3 (serial number AF56-6672) was delivered to Edwards in the summer of 1959. The aircraft was seriously damaged in June 1960 when its ammonia and hydrogen peroxide tanks exploded while testing the new XLR-99 engine on the ground. Pilot Scott Crossfield was uninjured and the aircraft was rebuilt. In August 1963, NASA pilot Joe Walker set an altitude record of 354,200 feet in the No. 3 aircraft, the highest flight of the X-15 research program. The X-15-3 completed 65 flights between December 1961 and November 1967. Sadly, the airplane was lost during a tragic accident in November 1967 that took the life of Air Force pilot Michael Adams. 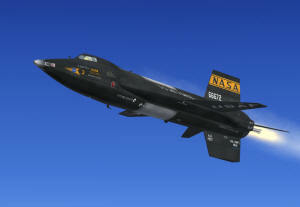 This package contains two versions of the X-15-2 aircraft (serial number AF56-6671) with the XLR-99 rocket engine and two versions of the X-15-3 aircraft (serial number AF56-6672) with the XLR-99 rocket engine. This is the design-mission configuration of the No. 2 X-15 rocket plane. 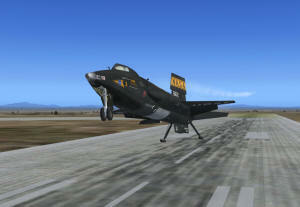 The second variation of the X-15-2 wears gray thermopaint on the canopy, the nose and other parts of the aircraft. The No. 3 X-15 airplane was equipped with the new MH-96 adaptive flight control system which replaced the stability augmentation system (SAS) found in the other aircraft. The second variation of the X-15-3 has removable wing-tip pods that contained cameras and research instruments. This aircraft has a revised blue-gray instrument panel that replaced the original black panel. 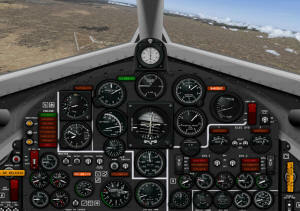 The new panel contrasted better with the gauges, light indicators and flight instruments. The airplane also features a tail-cone box with additional experimentation equipment. 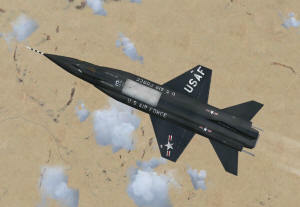 "Dirty" version of the X-15-2 with the NACA/Nortronics ball nose, gray thermopaint on nose and canopy, and an alternate (XLR-99) black panel. "Dirty" version of the X-15-3 with the NACA/Nortronics ball nose, wing-tip pods, tail-cone box and the (XLR-99) light blue-gray panel. NEW! 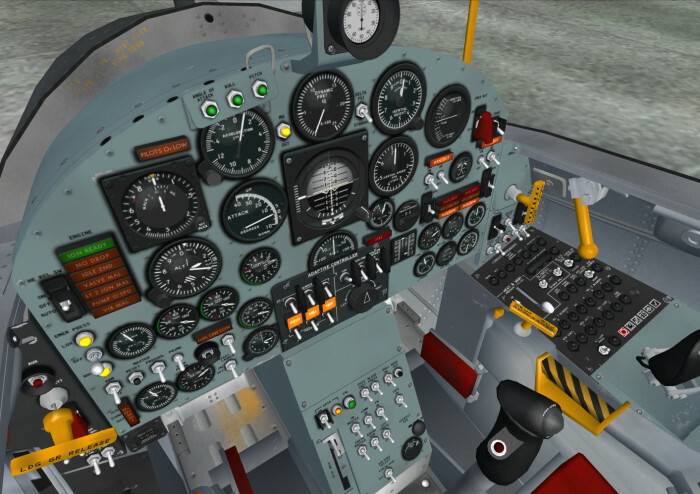 Each of the X-15-2 and X-15-3 aircraft come with their own 3D fully functional virtual cockpits which contain over 900 parts and nearly 200 animated gauges, switches, levers, light indicators and flight instruments. 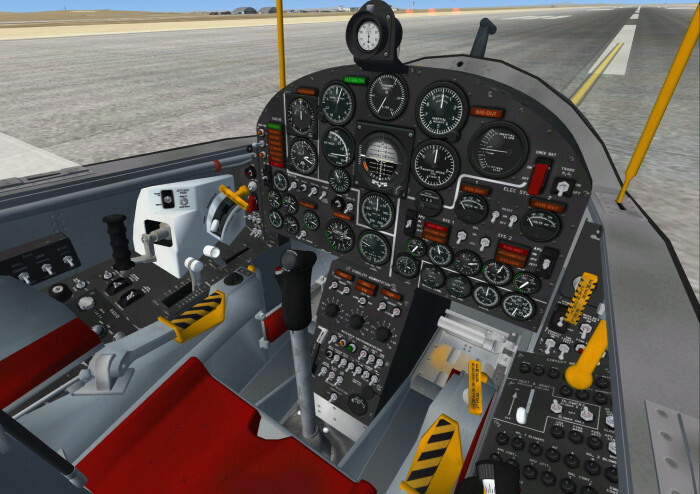 The VC allows a total 3D immersion into the X-15 flying environment and comes with new internal spotlights, switches, control sticks, handles and levers with tooltips. Virtually all switches in the VC are clickable and can be used to simulate nearly every procedure required during a mission. 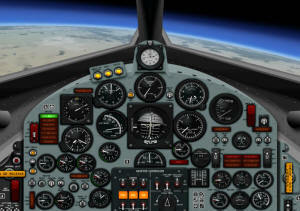 As with the 2D instrument panels and the exterior models, each virtual cockpit has been meticulously created to conform as closely as possible to the cabin of the real X-15 rocket aircraft. NEW! 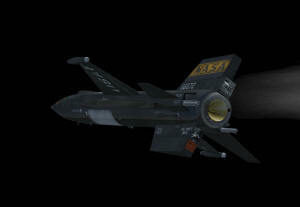 Automatic Ignition Sequence – The X-15 can now be started automatically at the touch of a single "magic" red button. 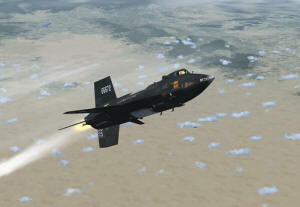 This is similar to pressing CTRL+E with conventional FS aircraft. However, the red button initiates all X-15 internal custom systems, including her three-propellant rocket fuel management system. An RAS (reaction augmentation system) panel on one of the X-15-2 aircraft. 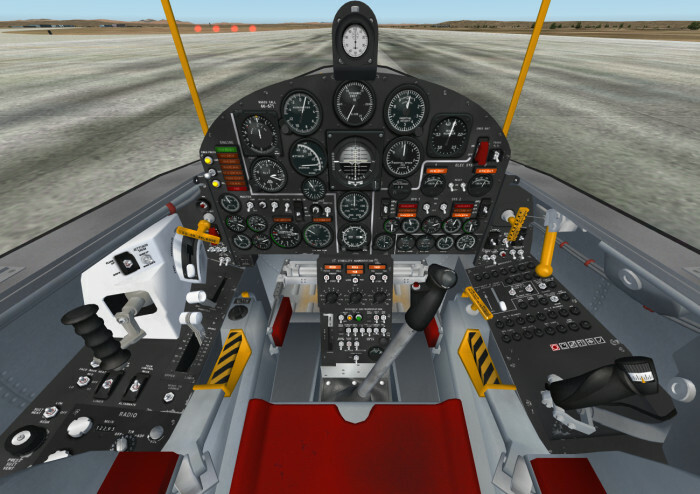 In addition, the default Flight Simulator Garmin GPS and magnetic compass panels are available from the main panel. Note that one variation of the X-15-3 has a revised light blue-gray instrument panel that replaced the original black panel. 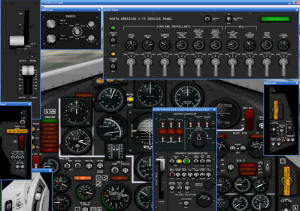 The new panel contrasted better with the gauges, light indicators and flight instruments. X-15-3 (XLR-99 engine) instrument panels. Note the service panel at the top and the MH-96 adaptive flight control system panel on the center pedestal. X-15-3 (XLR-99 engine) revised light blue-gray main instrument panel during flight. Note the MH-96 system control panel in the lower center section of the main panel. X-15-2 (XLR-99 engine) main instrument panel. Note the square machmeter at right and the unusual position of the helium release selector switch in the left section of the panel. Alternate version of the X-15-2 (XLR-99 engine) main instrument panel during a final approach for landing at Edwards Air Force Base. Note the engine timer at the top. Included with the software are the 100-page English and French versions of the X-15-2/3 Utility Flight Manual, available in a printable PDF format (Adobe® Acrobat® Reader 5.0 or later required). 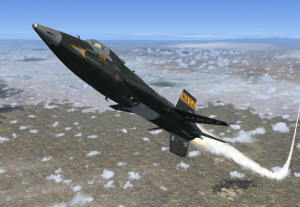 The manual has been specifically conceived for the X-15-2/3 for Flight Simulator and is based on the original real-world X-15 utility flight manuals. 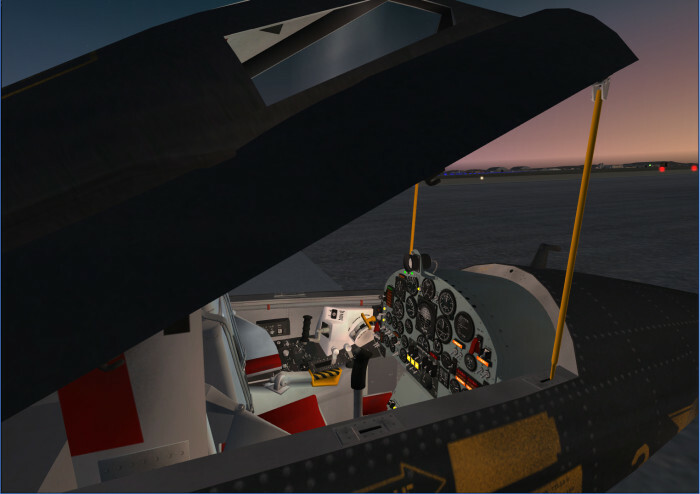 The flight manual contains the necessary information for the installation and operation of the X-15-2 and X-15-3 virtual aircraft and associated instrument panels. It contains instructions and procedures for XLR-99 rocket engine operation, on the X-15-2/3 for Flight Simulator. The end-user is encouraged to print a copy of the manual for his/her own use, in conjunction with the add-on simulation software. The best way to keep the manual handy for easy reference during flight is to organize it in a durable presentation binder. "Dirty" version with the NACA/Nortronics ball nose, gray thermopaint on nose and canopy, and an alternate (XLR-99) black panel. "Dirty" version with the NACA/Nortronics ball nose, wing-tip pods, tail-cone box and the (XLR-99) light blue-gray panel. 200 fully functional custom integrated systems and gauges with "tooltips"